Battered and Bruised, Adobe Flash Finally Admits Defeat. Posted November 10th, 2011 by Karl & filed under Technology. The hammer has finally fallen on Adobe for their flash player on mobile platforms. After failing to make the sort of headway in the sector they planned, they have now announced they will stop any active development of the flash player. Of course, this does not mean that the flash player will no longer work on mobile devices, just they won’t be getting any further updates to keep them compatible with newer devices. 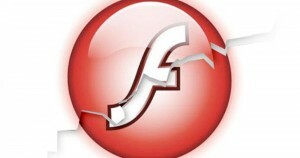 Many websites and media on websites still use and rely on flash to operate correctly. As such, they will continue to release security updates and bug fixes for the platform. This to me however does feel like a bit of a cop-out excuse. Flash easily had the potential to work on all mobile devices, however due to the stigmata thrown at them from Apple and the like, and the general poor performance they’ve experienced on many mobile platforms, they’ve now been pin-cushioned into this position. Now this has happened, and now that flash has the bad press it’s gained over recent years, they seem to have decided to consolidate their debts and move on into something new. The beginning of the end for Adobe Flash? So does this new development spell the beginning of the end for Adobe flash? It’s no secret that new technologies, HTML5 in particular, are beginning to come into the fold and are giving the normative Flash Player a run for it’s money. Flash is still king of the hill for now, but this is also largely to do with the fact it is the standard multimedia player for websites currently, and does hold the best compatibility multimedia wise for most browsers. Youtube has recently begun rolling out a new form of their website specifically tailored for HTML5. It does this using either the seemingly soon to be deprecated h.264 or the WebM video format, which can integrate themselves directly into HTML5 supported browsers. Currently, only Chrome and Safari support h.264, and Chrome will soon be removing support for it in favour of WebM. As such, if you’re looking to try out this new form of video viewing, you might need to download the WebM codec. The new HTML5 player from what I’ve seen does seem to work nicely. It’s still slightly bugged, and when you maximise a video it instead just makes it cover the whole of the browser window, as opposed to the full screen. You can also change the play speed of videos using HTML5. Although I imagine for most this will remain simply a novelty feature. But given Google’s previous comments about Flash, and Steve Jobs’ notorious rant about the ills of flash, it’s hard to see the platform continuing to grow and mature in the same way it has. They do plan to continue with ‘advanced gaming’ and ‘premium video’, but as previously mentioned, should HTML5 youtube take off, even this will take a hit. It will be interesting to see how long flash can continue to survive against the newer and fresher HTML5. I imagine it will continue to be lucrative in the gaming sector, especially with new projects like Unity3D and Epic Games recently announcing Unreal support for flash games. However, I seriously doubt it can continue to be the de facto multimedia platform for many developers, eventually becoming streamlined into a much smaller niche base.